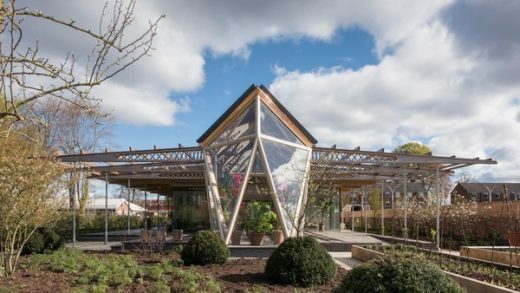 Built in the grounds of NHS cancer hospitals, Maggie’s Centres offer free practical and emotional support for people affected by cancer. 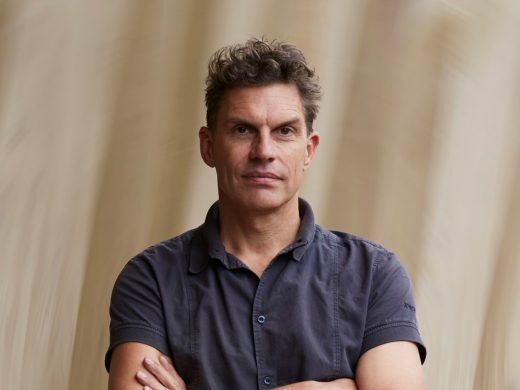 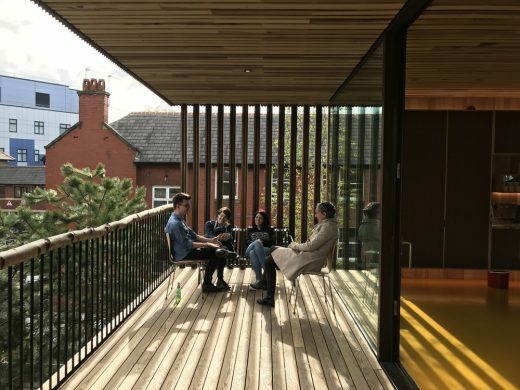 The design of Maggie’s Oldham is less about form and more about content. 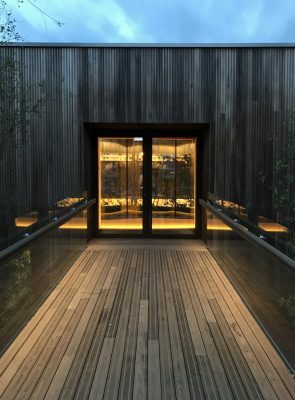 Supported on slender columns, the building floats above a garden framed by pine, birch and tulip poplar trees. 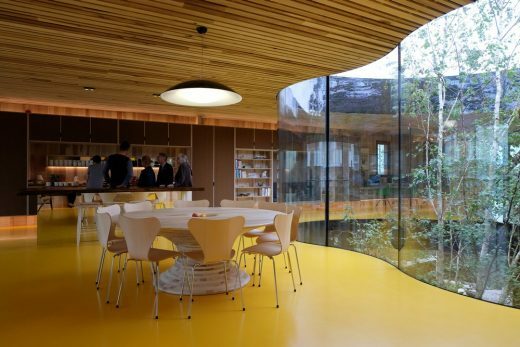 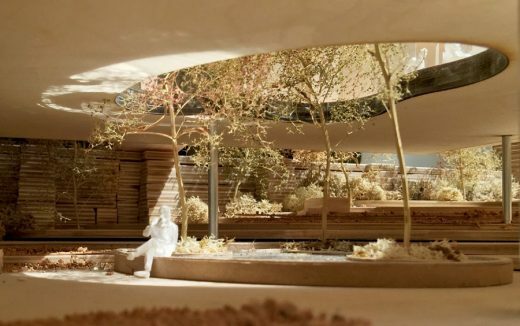 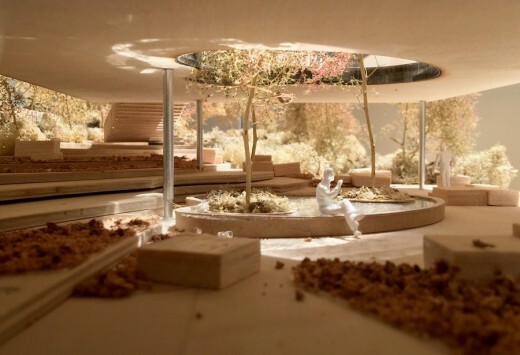 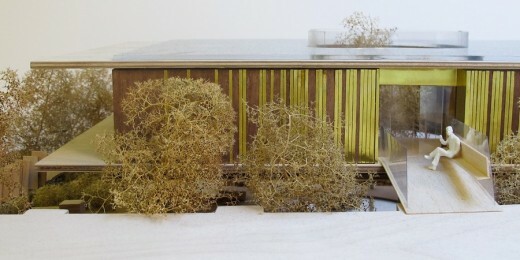 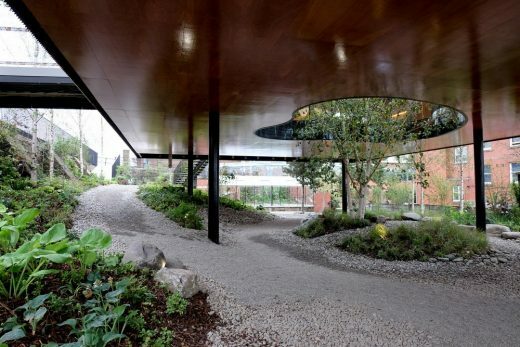 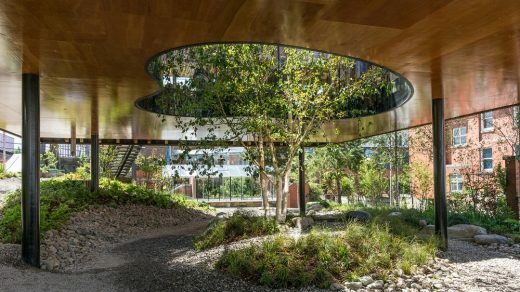 From a central oasis, a tree grows up through the building, bringing nature inside. 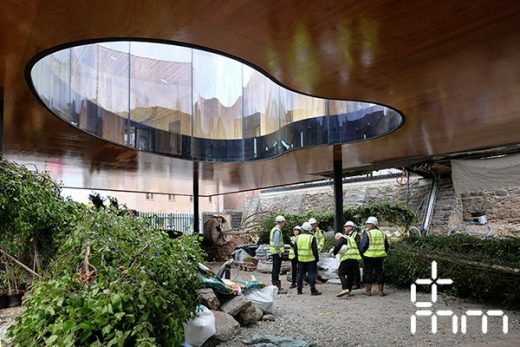 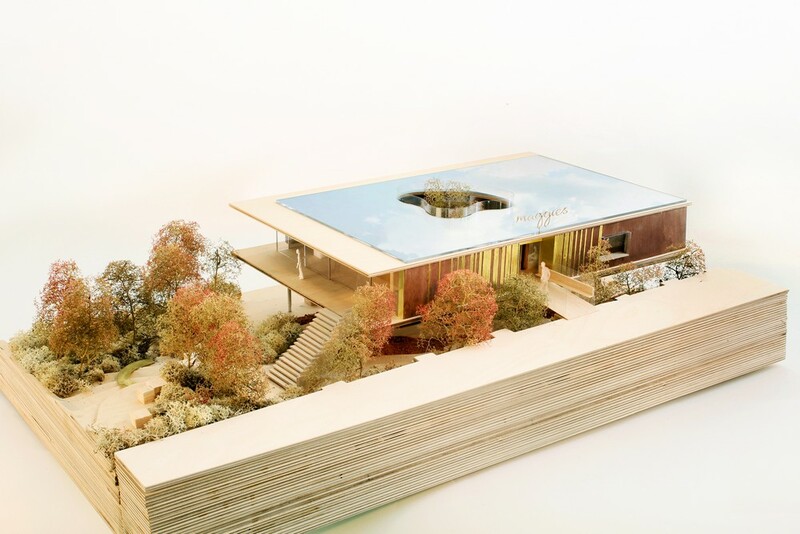 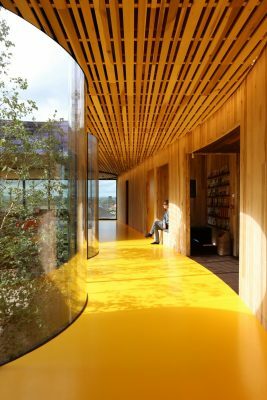 Maggie’s Oldham is the first permanent building constructed from sustainable tulipwood CLT, following on from dRMM and AHEC’s development of the material. 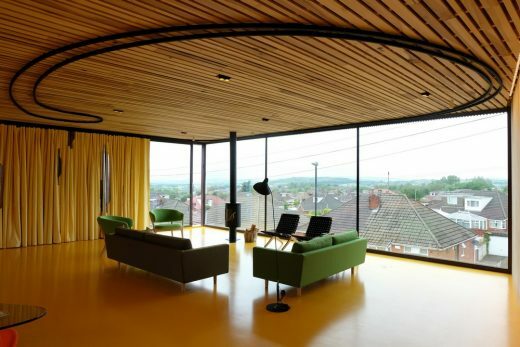 The tulipwood has been carefully detailed to bring out its natural beauty. 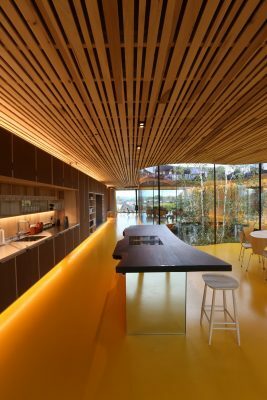 The slatted ceiling was created from wood left over from the CLT fabrication process, ensuring no waste. Externally the building is draped in custom-fluted, thermally modified tulipwood. 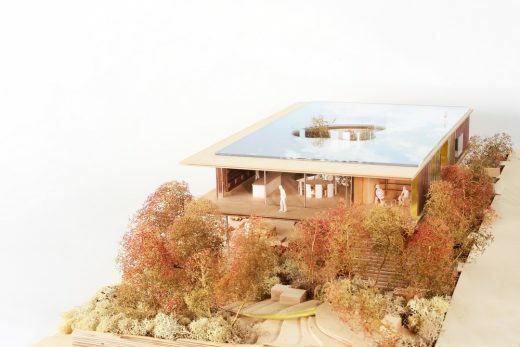 Construction has begun on the world’s first permanent building created using hardwood cross-laminated timber (CLT). 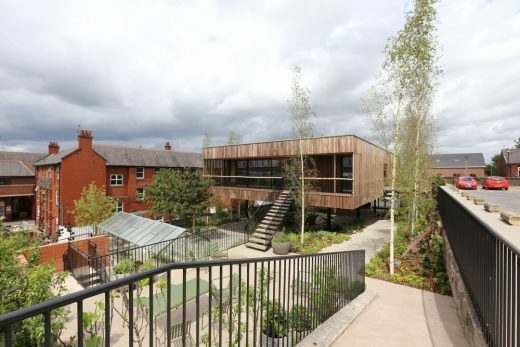 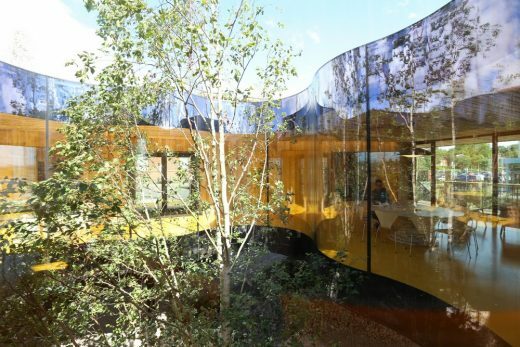 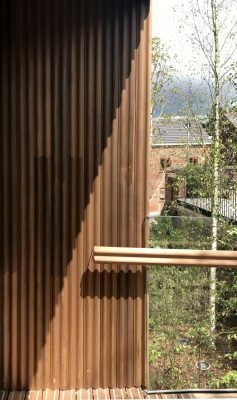 Designed by architects, de Rijke Marsh Morgan (dRMM) Maggie’s Oldham is the first building to utilise the beauty and strength of the sustainable material.